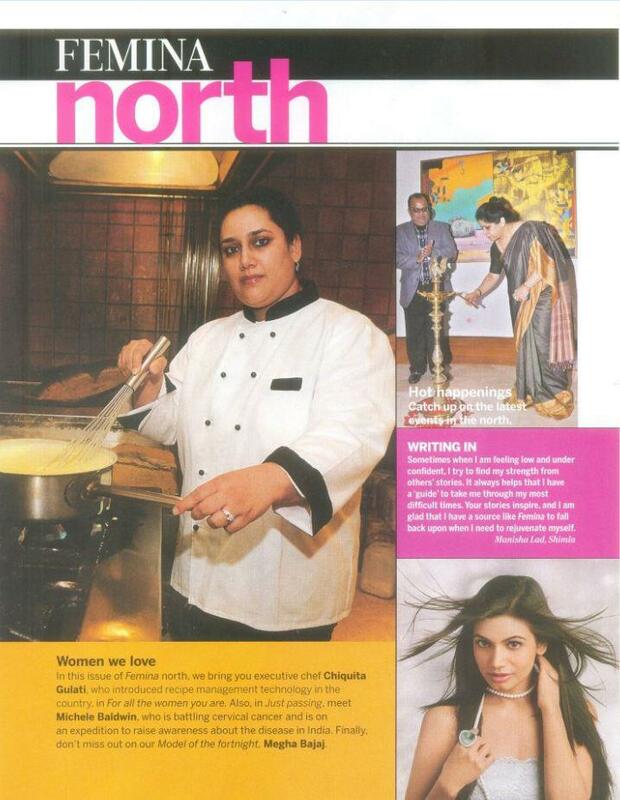 Loyal EGS CALCMENU user Executive Chef Chiquita Gulati as featured in Fermina North introducing Recipe Management Technology in India! "Today, the lady, unnerved by the industrials knives, tie up for north India with EGS, one of the leading recipe management software companies in the world." 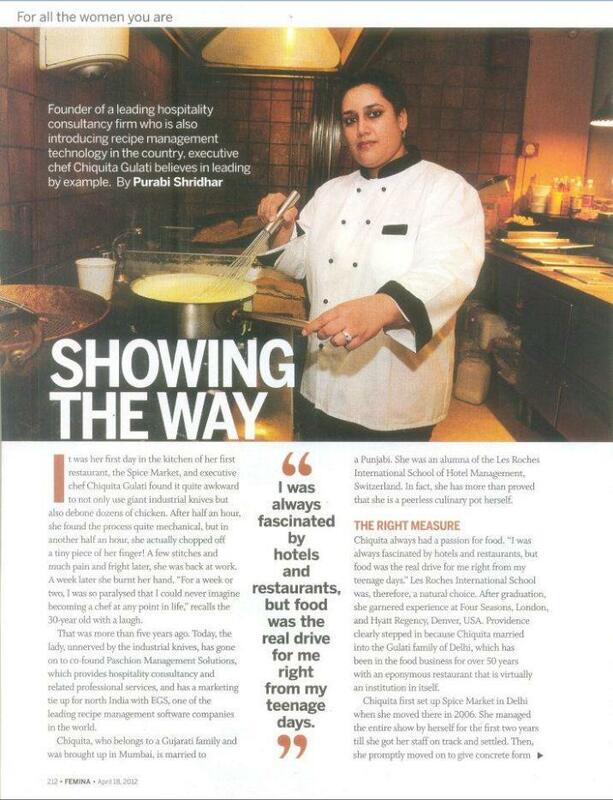 "Most chefs are still used to cooking by estimates, which should be replaced by standard prcocedures, now that there is a technology for it. " 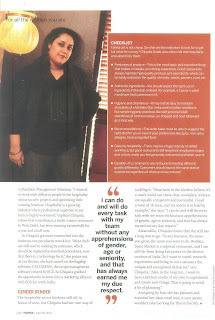 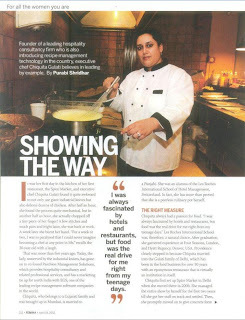 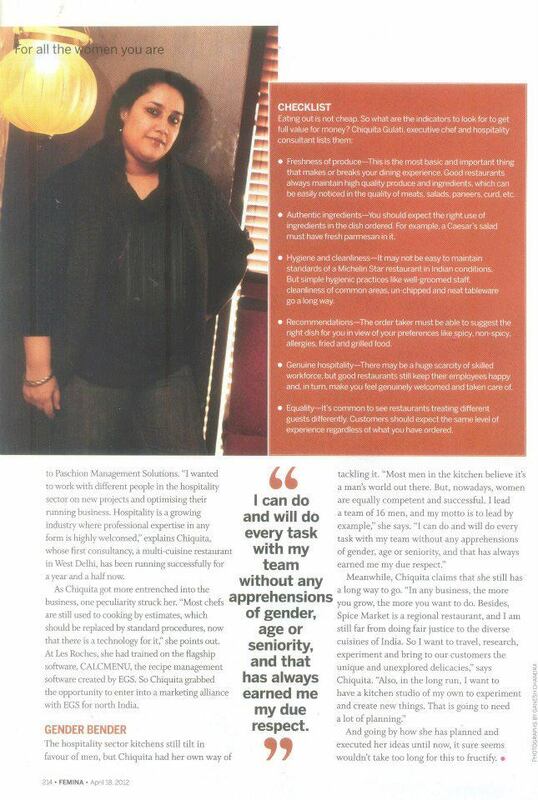 Executive Chef Chiquita Gulati talked about CALCMENU and EGS.